OCD Automation was contracted by US West Electric to provide instrumentation, control panels, and systems integration services for a new pump station in Newport, OR. From initial design to final acceptance testing, this project features several of OCD’s core services and showcases our commitment to projects from start to finish. Not having to work around existing hardware gave OCD Automation the ability to design an optimized automation solution from the ground up. Controls design for this project entailed drafting a controls program and communicating it to the client to ensure proper functionality, choosing sufficiently capable hardware for the right cost, and verifying resource use of the design– namely power consumption & efficiency. In addition to controls design, OCD fabricated the control panel and delivered it to the client site, ready “out of the box” to be wired for testing. A Rockwell Controllogix PLC is the brains of the operation, and operators can monitor live data, manipulate setpoints, and view historical trends via the 19″ touchscreen HMI on the front of the door. The 19″ touch screen allows for simple panel design while maintaining functionality. The last phase of the project was the startup and FAT. “Startup” is a broad term that encompasses all steps associated with ensuring the correct operation of the control system. 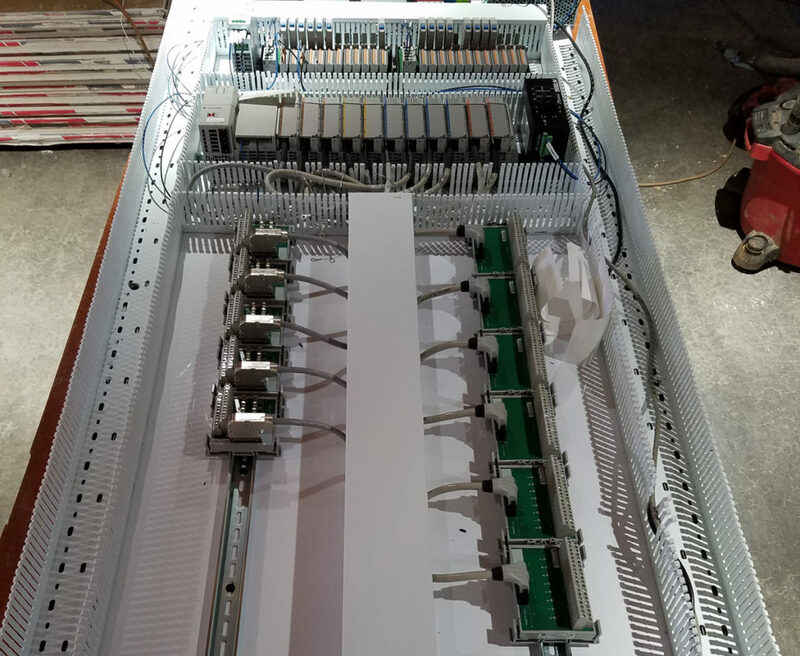 OCD verified the I/O and wiring to the PLC, made minor changes to the PLC program and touchscreen interface, and were present on site to make any other changes to meet final testing standards and make sure the controls work as the client intended. The final product is a robust, adaptable solution that controls three transfer pumps right next to the Pacific Ocean.